Centrist independent Emmanuel Macron and far-right nationalist Marine Le Pen will face off in a runoff election for the French presidency, following the first round of nationwide voting on Sunday. 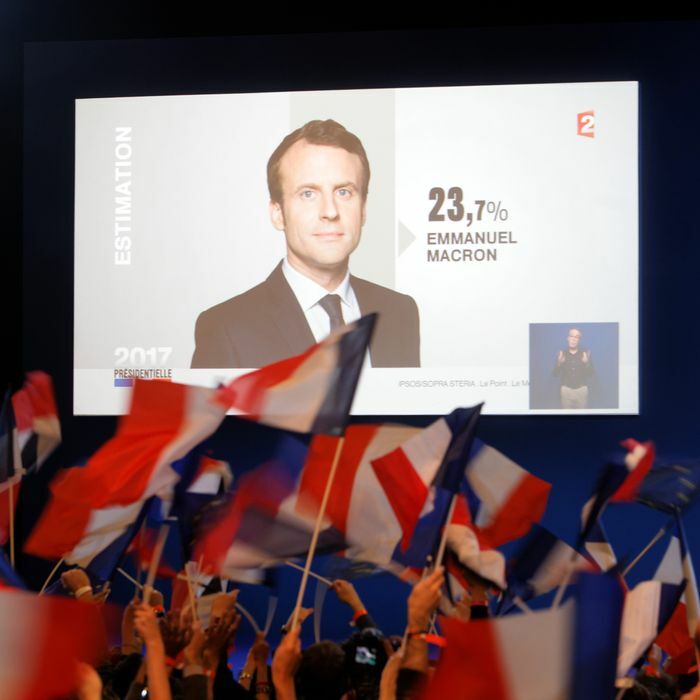 Macron, a 39-year-old political novice, appears to have won the majority of the vote, with around 24 percent, while the populist Le Pen came in second, with at least 21 percent, according to preliminary projections based on exit polls. They defeated a crowded field of nine other candidates to advance to the next and final round of voting on May 7. The two outsiders’ victories also signal a stark rejection of the two main political parties that have traditionally led France, the center-right Républicains and the mainstream-left Socialist Party, and the upcoming runoff will be the first time that no major party is represented in a French presidential election. In her victory speech, the 48-year-old Le Pen hailed the “historic result” and declared herself the “people’s candidate” in the upcoming election. “It is time to liberate the French nation from arrogant elites who want to dictate how it must behave,” she added. A win for Le Pen, who favors closed borders and wants France to leave the European Union and reestablish its own currency, could have dramatic implications for the future of Europe. Polls have indicated that Macron is likely to easily defeat Le Pen in the runoff. Regardless of who wins on May 7, however, parliamentary elections in June will ultimately decide how much power France’s next president — who will undoubtedly need to form a coalition government — will actually have. This post has been updated throughout to reflect new details in a breaking news story.